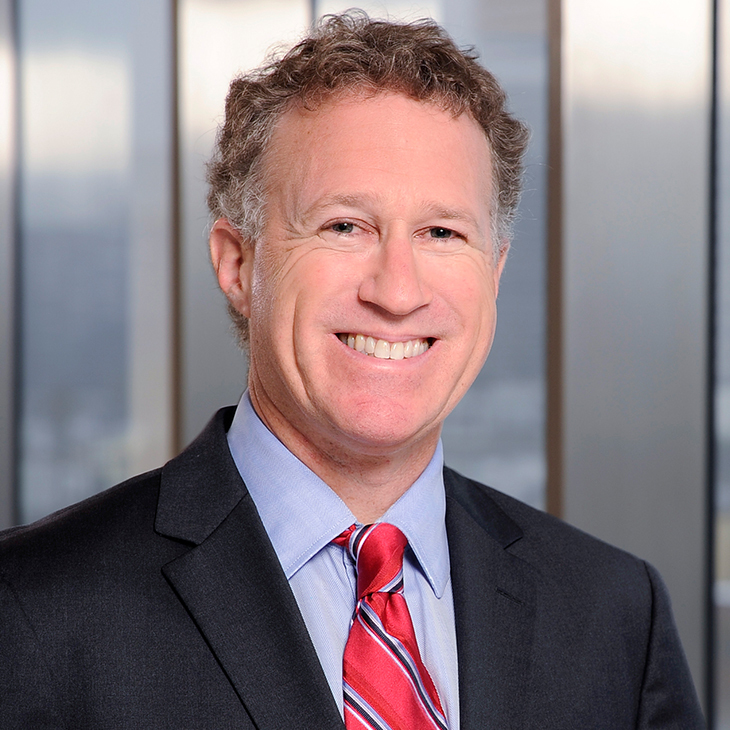 Keith Allen-Niesen is a partner in the firm’s Los Angeles office and leads the infrastructure and Manatt Real Estate Advisors practices. He has a broad range of transactional experience and oversees major business litigation, business transactions, land use and development matters. Keith has extensive experience in the acquisition, development and sale of hotels, resorts, golf courses, restaurants, office buildings, residential subdivisions, shopping centers and industrial sites, including transactions involving contaminated real property. In addition, he represents landlords on both leasing and management issues for office buildings, mixed-use developments and shopping centers. Keith is also well-versed in the areas of land use and loan workouts involving real estate collateral. Keith is repeatedly recognized as one of the top real estate attorneys in Southern California. He is also the founder and Senior Managing Director of Manatt Real Estate Advisors, Inc., the firm’s recently launched real estate brokerage affiliate. Manatt Real Estate Advisors provides a diverse suite of services, including sell-side and buy-side representation, leasing representation, and asset analysis and valuation. Representing a developer/owner on the portfolio sale of 32 industrial and commercial properties in California and Arizona in a transaction valued in excess of $460 million. Representing a REIT in the acquisition of the Del Amo Fashion Center and Del Amo Office Center in a transaction valued at $442 million. Also represented the purchaser in the acquisition loan from Goldman Sachs. Currently working on the redevelopment of the shopping center. Representing a joint venture on the sale of 1,000-plus-acre site for use in an alternative energy project. Representing a REIT in the acquisition of a portfolio of eight super-regional and regional malls from Cadillac Fairview in a transaction valued at approximately $780 million. Representing a sovereign fund in the operation and management of a shopping and mixed-use center in San Francisco. Representing a law firm in lease of headquarters in Los Angeles, California, in a transaction valued in excess of $150 million. Representing a major pension fund in the sale of a West Los Angeles office building to another major pension fund for a purchase price in excess of $70 million. Representing a pension fund in the sale of a mixed-use office and retail center in Glendale, California, in a transaction valued in excess of $95 million. Representing a Canadian investor group in the acquisition of a Northern California shopping center and its $250 million redevelopment. Representing a trust in the sale of a portfolio of undeveloped, multifamily and industrial properties in a series of sales valued in excess of $62 million. Representing a trust in the sale of a portfolio of apartment complexes in Los Angeles, California. Representing a landlord on all leasing, management and operation activities at a major Southern California office project. Representing a developer in the acquisition and development of the Solano County Fairgrounds into a retail, commercial, entertainment and fair complex. Representing a governmental entity on a land swap and development transaction in Southern California. Representing a homeowners association on renegotiation of ground rent with the County of Los Angeles. Representing the potential purchaser in the acquisition and development of the retail and restaurant components of a major hotel/casino on the Las Vegas Strip. Representing a Fortune 100 company on California real estate matters. Representing the lender in the workout of its then largest problem loan involving a shopping center located in Southern California. Representing a lender in the development and sale of a mixed-use project involving commercial and multifamily units located in Southern California. Representing a lender in the development and disposition of a 1,000-plus-acre master-planned community in Northern California. Representing the MTA on a reciprocal easement agreement for the development and use of a rail transit station located in a multifamily, commercial and parking complex. Representing a quasi-governmental entity on acquisition and general real estate matters in California. Representing a lender in over 100 real estate sales transactions. Representing a pension fund in the sale of industrial properties in Southern California. Representing a pension fund in the sale of undeveloped land outside of Chicago to a national homebuilder. Representing a Fortune 100 company on the sale of undeveloped land in Thousand Oaks, California. Representing the buyers of two hotels located in Southern California. Representing the seller of a golf course located in Oregon. Representing a national lender on a sale-leaseback of one of its major California processing centers. Real Estate Broker, California (Lic. #02037158); Designated Officer for Manatt Real Estate Advisors, Inc.